USC is moving toward a vision of a campus in which nothing is considered disposable and resources like energy and water are used wisely and without waste, thanks to the students, staff and faculty behind the university’s Sustainability Steering Committee. Their far-reaching efforts are helping make environmental sustainability a priority in the university’s teaching, research, operations and facilities. Sustainability and climate change are among the “wicked problems” that USC Provost Michael Quick has mentioned as issues in which the university could lead the global dialogue. In his installation speech in May, he encouraged faculty and staff to redouble efforts in research and creative activities related to complex issues like sustainability and also to transform education so that students learn how to deal with them in the future. Faculty members have continued to call for greater focus on the issue through the Academic Senate. Some have met the challenge head on. Three years ago, some USC professors joined together to kickstart the cross-disciplinary collaboration needed to tackle the challenges of sustainability via USC’s Environmental Sustainability Research Network. Heading up the team, Paul Adler, professor of management and organization at the USC Marshall School of Business, brought together about 160 faculty and students for colloquia on topics including conservation psychology, research funding opportunities and corporate sustainability. 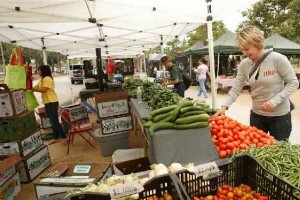 Adler teaches both undergraduate and graduate courses about sustainability and business at USC Marshall. The Sustainability Committee encourages student-driven initiatives and student input, said Halli Bovia, manager of USC’s sustainability program. Her department’s partnership with USC’s Environmental Student Assembly (ESA) helps both have more impact. 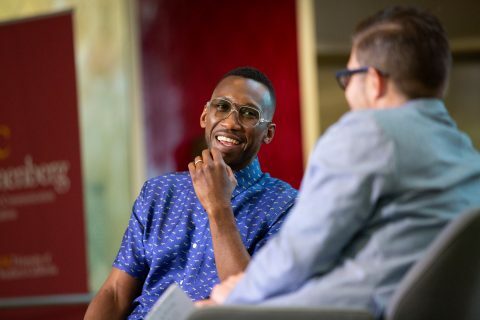 Shawn Rhoads, a USC senior and the ESA’s first executive director, said the assembly has teamed up with the Graduate Student Government, Undergraduate Student Government and the Office of Sustainability to launch the Green Engagement Fund (GEF) to encourage students’ ideas. Like a venture capital fund for environmental projects, the GEF will provide money to students for pilot projects that improve sustainability. It’s funded by money set aside by the Graduate Student Government. USC’s new solar-powered aquaponics learning garden emerged from last year’s funding competition. It will be built near the Waterman Community Garden behind the USC Parkside International Residential College on the University Park Campus. 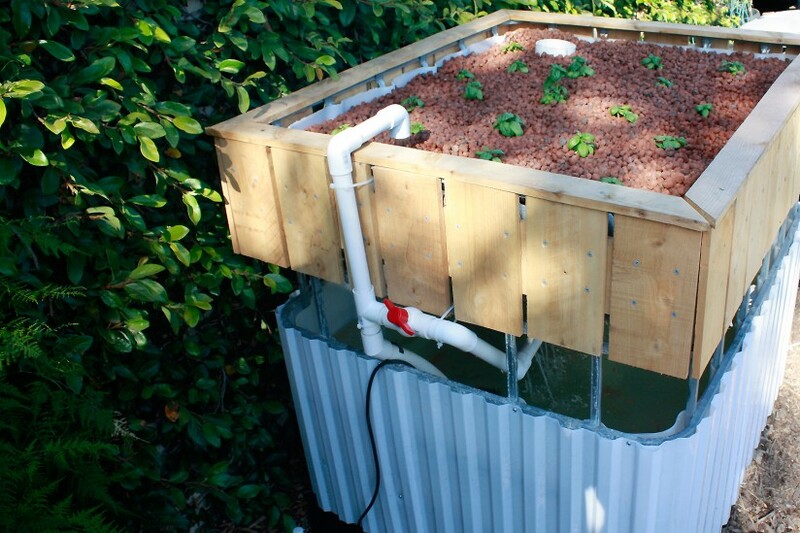 Aquaponics is a food production system that grows fish and plants together. The fish waste provides a food source for growing plants, and plants provide a natural water filter for the fish. The aquaponics garden will give students hands-on experience on campus using a model for sustainable agriculture. USC Viterbi School of Engineering Professor Kelly Sanders advises a nine-student team on construction and implementation; a large-scale version was set up this summer at the USC Wrigley Institute for Environmental Science. 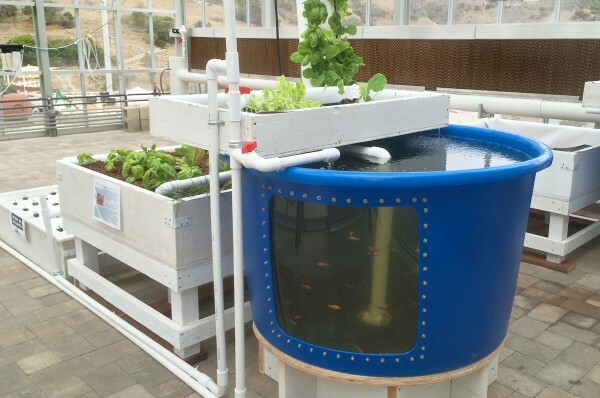 Student interest in aquaponics has come from all corners of the university. When Diane Kim of the USC Wrigley Institute for Environmental Studies organized a workshop in March on sustainable food production, students showed up from programs including communications, business, history and psychology. USC Marshall senior Ethan Bialick attended the session, and now he’s an aquaponics advocate working on the new garden. California is in a serious water crisis, and USC is doing its part to “drought-proof” campus. 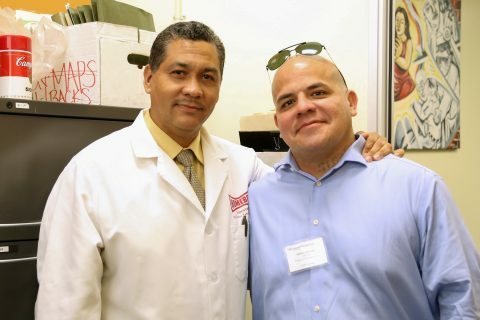 James Gibson, executive director of USC Environmental Health and Safety, chaired the USC Water Conservation Task Force. The group is wrapping up its comprehensive baseline assessment of campus water use and finalizing a series of recommendations that will focus on improving or extending the university’s most successful active conservation programs. Among its recommendations: continuing to create the infrastructure for campus use of recycled or reclaimed wastewater for cooling towers and irrigation. The University Park Campus is being fitted with “purple” pipe that will bring a supply of recycled water throughout the campus once the Los Angeles Dept. of Water and Power extends a connection in a few years. The task force’s recommendations will be presented to senior administration in the fall. In the meantime, ongoing examples of water-saving improvements abound. One is the recent renovation of Howard Jones and Brian Kennedy fields. Workers installed 52,000 square feet of artificial turf that will net more than a million gallons in water savings annually. Another is the replacement of outdated and inefficient faucets, toilets, urinals and shower heads. USC has replaced about three-quarters of its older, water-guzzling fixtures, reducing water use by 20 percent. Current water saving measures have been effective. According to Carol Fern, USC’s director of energy services, the university has steadily reduced its water use. In 2014, USC used 14 percent less water per square foot than in 2010 and 35 percent less than in 2007. Reducing water and energy use is just part of the sustainability equation. Reducing campus-generated trash is important as well. Just because you don’t see blue recycling bins dotting campus walkways doesn’t mean recycling isn’t happening at USC. In buildings and at food service areas, you’ll see dedicated recycling bins that allow users to presort recyclable materials from trash. 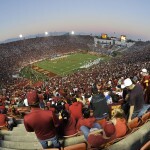 On campus, USC Athletics has been a huge supporter of reducing waste in daily activities. 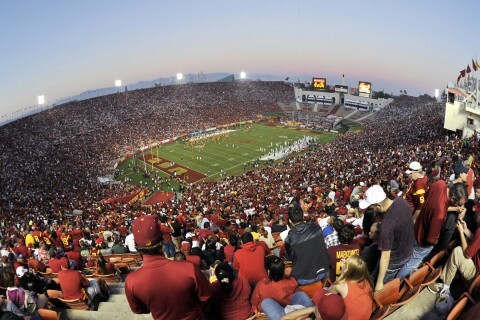 In early September, the Los Angeles Memorial Coliseum announced that it would aim for “zero waste” status on game days, starting on Sept. 5 when the Trojans opened their 2015 football season against Arkansas State. 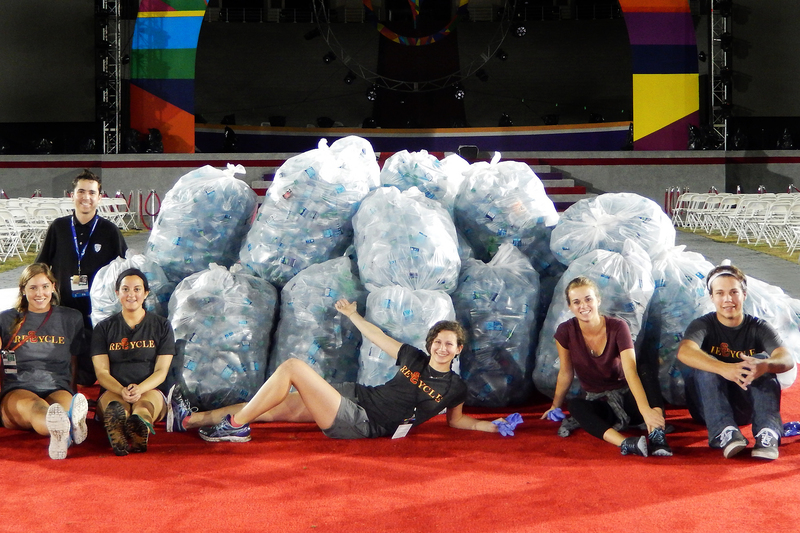 Under the initiative — a collaboration between the USC Office of Sustainability and Coliseum facility operations — football fans at the 90,000-seat Los Angeles Memorial Coliseum either recycle or compost their used water bottles, hot dog holders, plates and cups. Trash receptacles are gone, replaced by bins for recycling or composting only. Industry standards define zero waste status as diverting 90 percent or more of waste materials from the landfill or incinerator through recycling, composting or repurposing. The zero waste program builds on USC’s efforts to reduce the tons of waste produced during the football season and throughout the year. 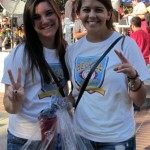 The USC Office of Sustainability launched its Tailgate Waste Diversion program in 2012 to teach tailgaters ways to reduce the waste from their pre-game activities. Last year, about 350 peer educators helped tailgate organizers and attendees outside the Coliseum recycle nearly five tons of aluminum, glass and plastic collectively. Three tailgate parties were certified as zero waste. The Green Teams Program overseen by USC Sustainability fosters a friendly competition between USC Athletics and club sports teams as they implement sustainable practices such as carpooling, recycling, using refillable water bottles and volunteering at events like beach cleanups. So far, the program has certified three teams: women’s sand volleyball, women’s rowing and men’s club lacrosse. While Athletics’ efforts and the Coliseum’s zero waste goal may be the most visible of the sustainability initiatives this fall, more are under way. A draft plan prepared by the steering committee, called Sustainability 2020, identified several ongoing campus initiatives and created potential target goals for reducing greenhouse gas emissions and increasing purchase of food from sustainable sources. Making the university a sustainable community will be an ongoing effort. USC’s official colors are cardinal and gold, but the campus also cares about another hue: green. Tailgating at a USC football game represents a huge part of what it means to be a Trojan. With more than 65,000 fans on campus grounds at a time, it also generates about 13 tons of waste — per game. Think of it as winning the ultimate game of trash talk. The Collegiate Game Changers, a report released by the Natural Resources Defense Council, recently spotlighted USC’s “zero-waste tailgate” sustainability program.